Jack and Leota Neville never spoke of the war years. Efforts to engage them in such conversations were always deflected, this chapter of their life together seemingly forever closed. Jack’s 45th serves to open this chapter of their life and times together as well as pay tribute to all of those in The Greatest Generation. 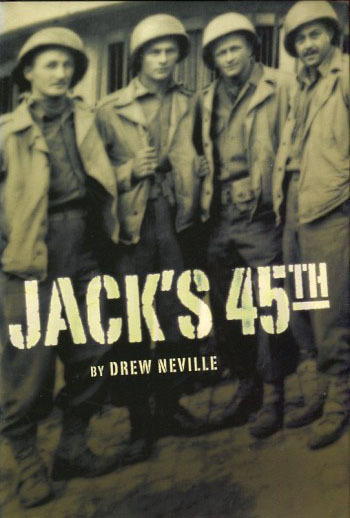 Authored by McAfee & Taft trial lawyer Drew Neville, Jack’s 45th presents a unique blend of family, Oklahoma, and World War II history that follows the footsteps of Jack Neville from Adair, Oklahoma through the beginnings and battles of Oklahoma’s famous 45th Infantry Division Thunderbirds. The book also tells of the life and times of Leota and others who worked and waited in Oklahoma City for the end of the war. Following Jack and the Division to Watertown, New York and on to Virginia where Jack boarded the USS Leonard Wood for North Africa, Leota and the other wives of Oklahoma City returned to the wait of war times. Chronicled in considerable detail are the beginnings of Tinker Air Force Base and the community’s considerable support of the war effort. The anxiety and worry of not knowing are told through the eyes of Leota, as she spent her days working at the McDonald Aircraft Plant in Midwest City where over 3,000 C-47s were produced for the armed services. 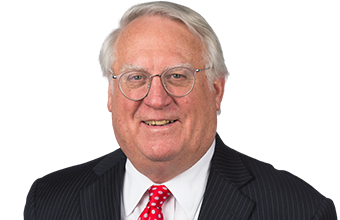 Published by the Oklahoma Heritage Association as part of the Oklahoma Horizons Series, Jack’s 45th is a tribute to all of these men, women, and families who sacrificed in the Great War.